Fast forward to the present. I am in Norway, and it turns out that I’m not alone–my parents are here! My dad has been dying to get back to Norway ever since he took a trip there 45 years ago, and my mom has never been to Scandinavia. Thus, they both saw my trip as a great reason to travel to Norway (though I think they technically told me that the purpose of the trip was to make sure that I was properly settled in). I can’t complain though since the company is appreciated and going with my parents means that I get to knock a few things off of my Norwegian bucket list early on. The current plan is to fly into Oslo and explore for two days before catching the train to Bergen. After staying in Bergen for a few days we are catching the Hurtigruten ferry up the coast of Norway until we land in Trondheim. After we land I assume that a lot of unpacking and Ikea raiding will commence. 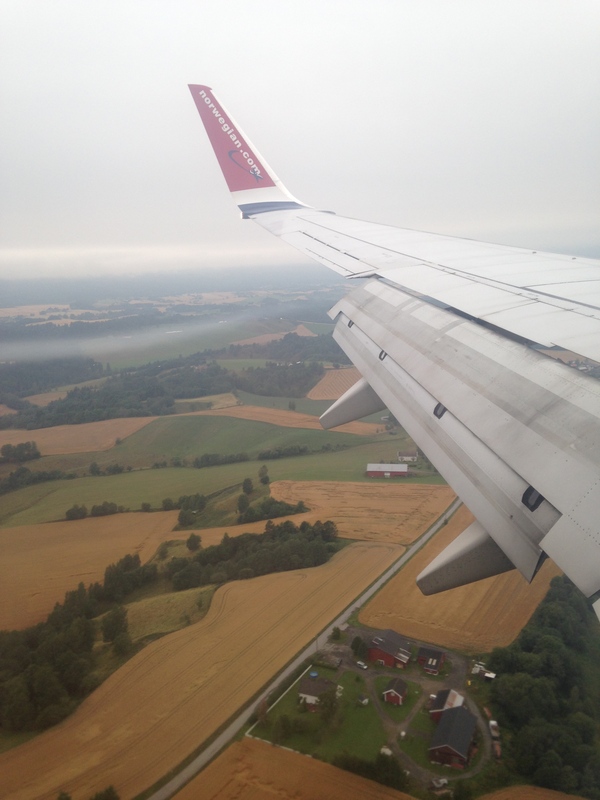 Everything went pretty smoothly once we arrived at in Oslo. Immigration was easy to go through since all they needed was my passport and confirmation from immigration (UDI) that I had been granted a temporary residence permit. The thing that really struck me about the airport was that in between immigration and baggage claim was a large duty free shop. 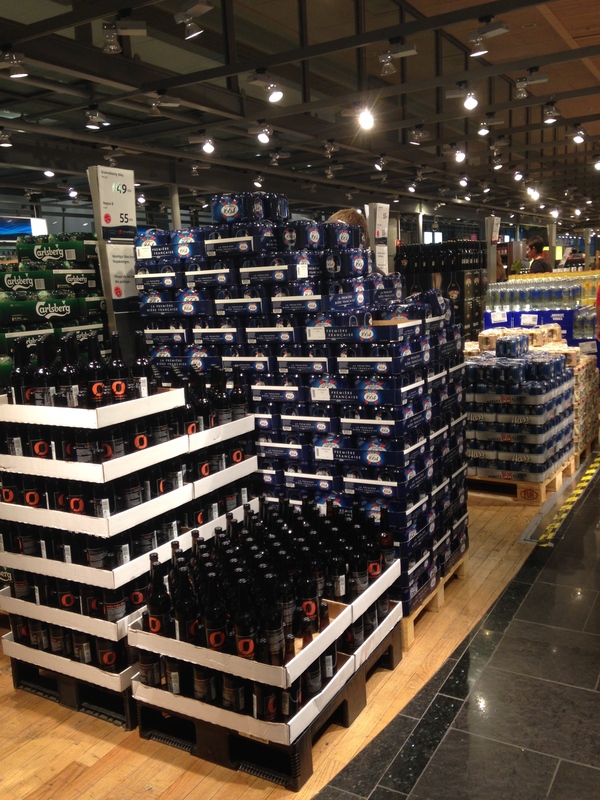 The first thing that they were selling (and that many people were rushing to buy) was alcohol. I was warned before my trip that alcohol in Norway is prohibitively expensive so I had to smile watching people claim their reasonably priced alcohol while they could. You can see a bigger version of all of these photos by clicking on them. After we checked into our hotel we set off on our first adventure. First stop: Bygdøy (note the partial mastery of the Norwegian keyboard–that and copy and paste). In order to get to there we decided to take a ferry which gave us a great cityscape view of Oslo. 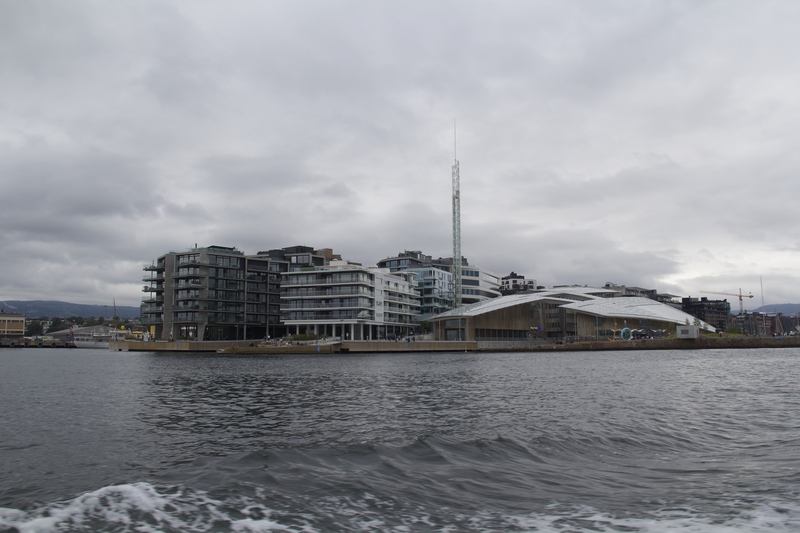 Bygdøy has most of Oslo’s maritime museums, and I was determined to see the Viking Ship Museum before stopping by the Norwegian Museum of Cultural History, also known as the Folkemusem. 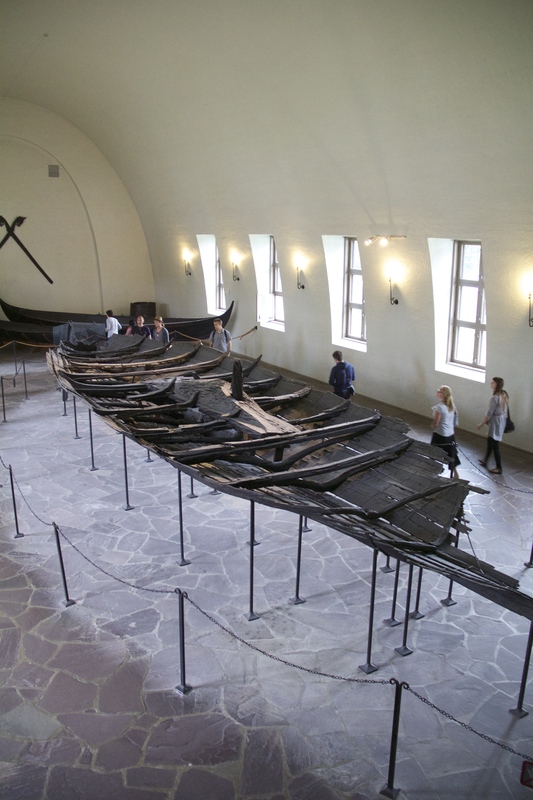 The Viking Ship Museum was both impressive and small. 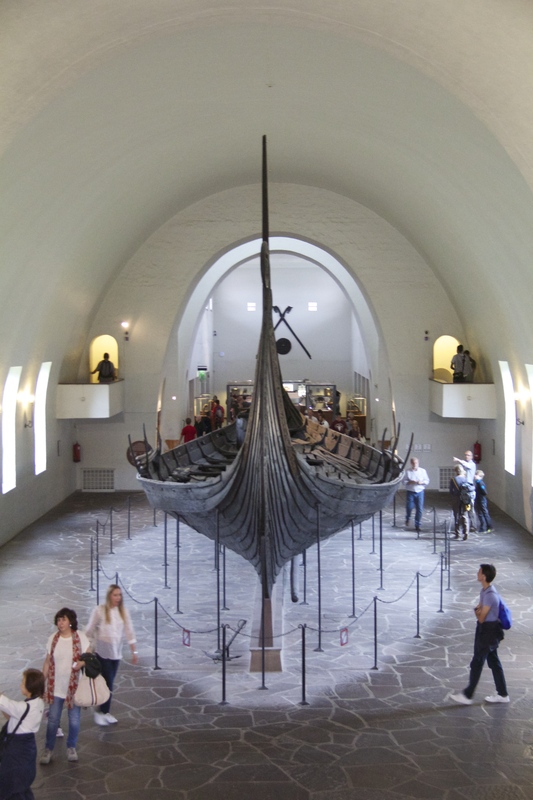 The main attraction is, yes you guessed it, a huge viking ship. The museum actually has three ships but the other two are smaller, simpler, and more run-down than the main ship. 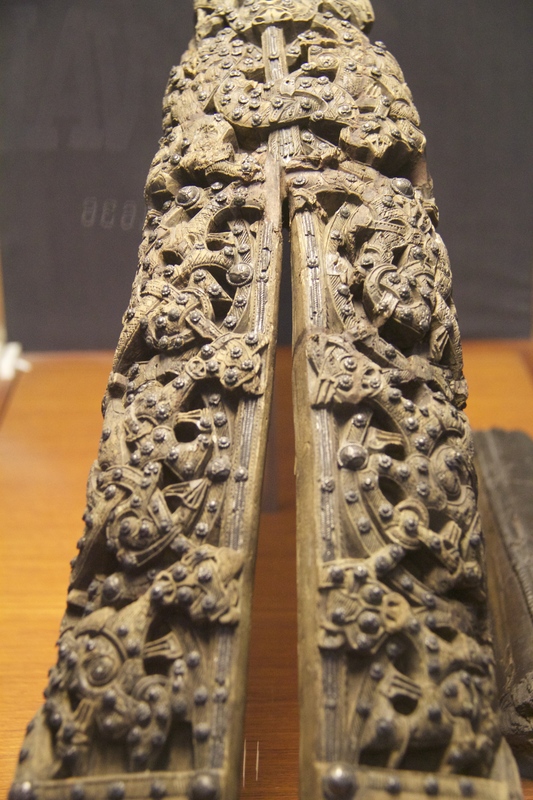 Considering that the Vikings lived from the 8th to the 11th century, the size of these ships and their attention to detail is stunning. 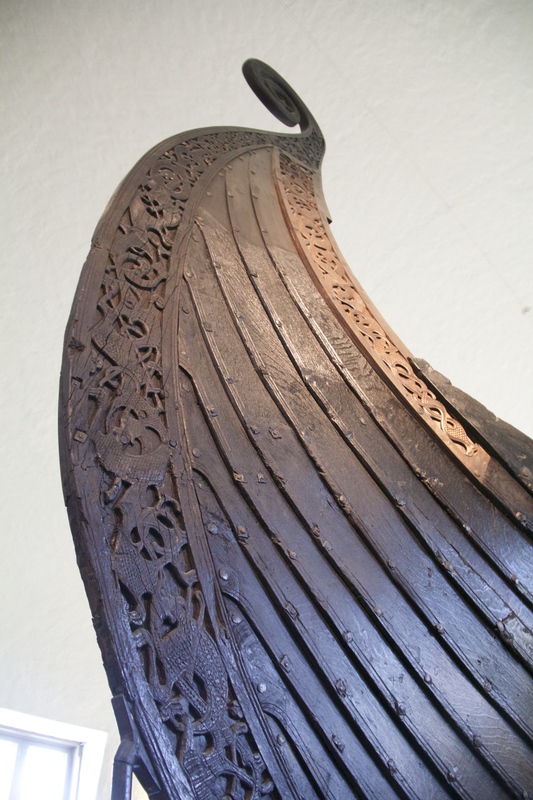 While the ships themselves don’t have very complicated designs carved into them, the items that archaeologists managed to preserve from these ships showcase the Vikings’ skill and creativity. 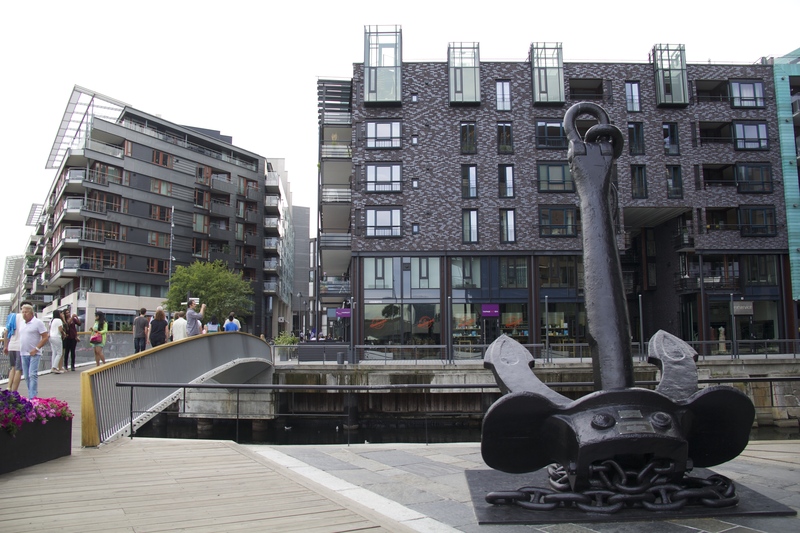 The Folkemusem was a completely different experience from the Viking Ship Museum. First of all, it was huge. 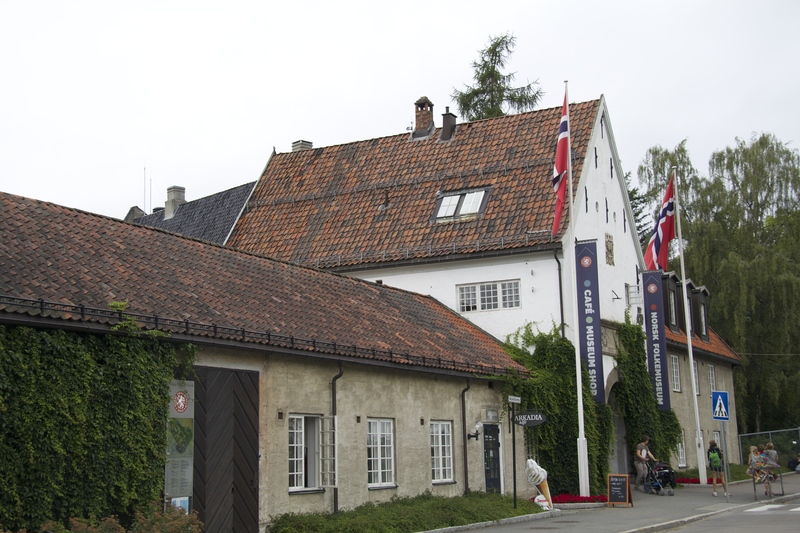 The museum covers Norwegian history from 1500 onwards and has approximately 34 acres and 160 buildings. 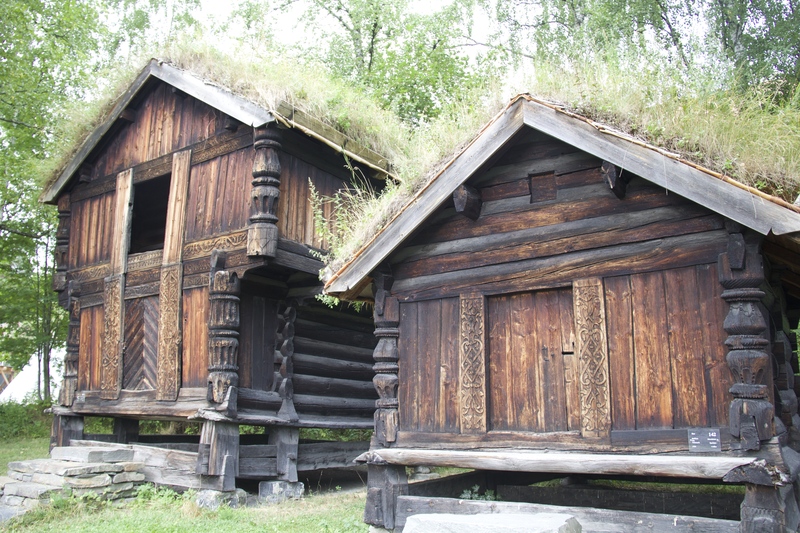 Not all of these buildings contain exhibits and many of them are simply traditional Norwegian buildings that you can visit and explore. Most of the buildings we looked at were old Norwegian farmhouses, guest houses, and storage buildings. The thing that initially surprised me was how much more ornate the guest houses were when compared to the farmhouses. The guest house was the first building that I walked into and had drawings painted on the walls and nice furniture. When I then decided to poke my head into the neighboring farmhouse I was expecting something fairly similar. To my surprise the farmhouse was sparse and contained no decorations. When I asked a guide she explained that this was because you want to provide your guest with the best of everything. Unfortunately I couldn’t take any pictures for comparison, but here are a few pictures museum and the exteriors of some of the buildings. After the Folkemuseum we decided to walk around the docks before calling it a day. 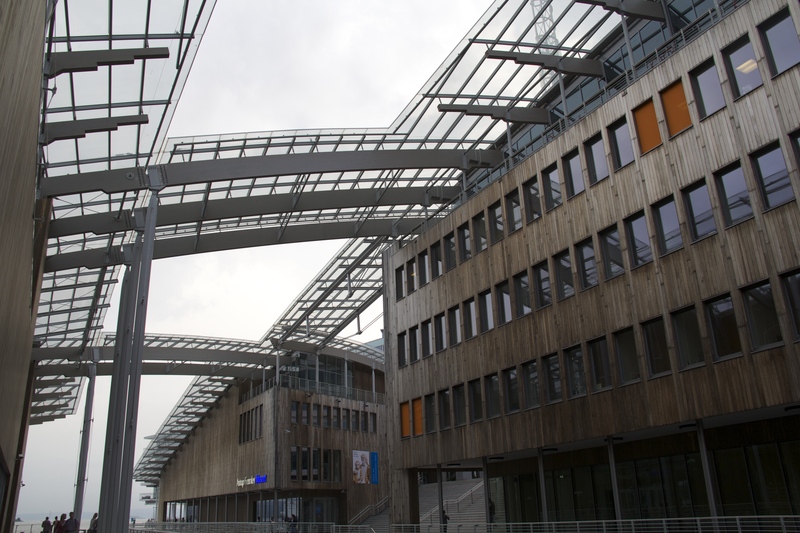 One thing that struck me was how many modern buildings there are in Oslo. I’ve never been a huge fan of modern architecture but some of the buildings here are just stunning. 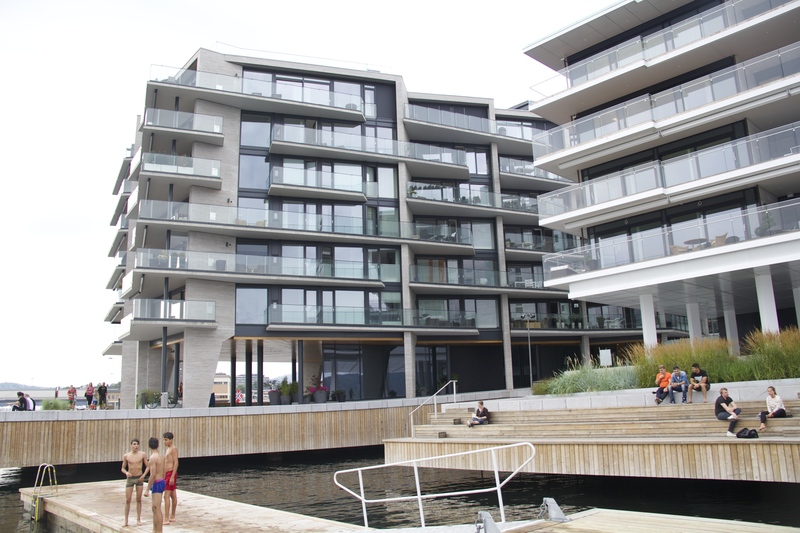 My favorite building was an apartment building that was right next to the water. Apparently the water is pretty clean because they had a swimming station complete with diving board right into the harbor. Some more pictures below and more to come tomorrow.